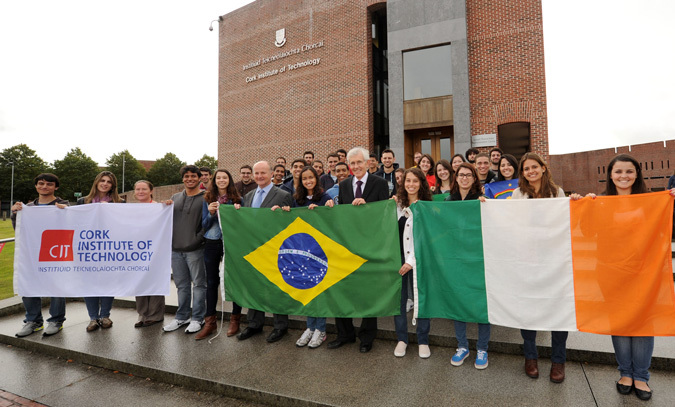 Cork Institute of Technology (CIT) is delighted to accept applications from students from Brazil who wish to participate in the Science Without Borders programme. We have already welcomed over 120 students from Brazil as part of the programme, and we look forward to welcoming many more students next year! The Institute has an outstanding record in relation to student achievement, industry engagement and the development of successful new businesses. International students are very welcome to visit and to take full advantage of the CIT educational experience. CIT is recognised and respected as a progressive educational institution of international standing. CIT received the Sunday Times Institute of Technology of the Year Award for 2010 and 2016. CIT has a total enrolment in excess of 14,000 full-time and part-time students across its principal campuses: Bishopstown Campus, Crawford College of Art & Design, Cork School of Music and the National Maritime College of Ireland. It offers a comprehensive range of programmes in engineering, science, computing, business, humanities, art, music and maritime studies. 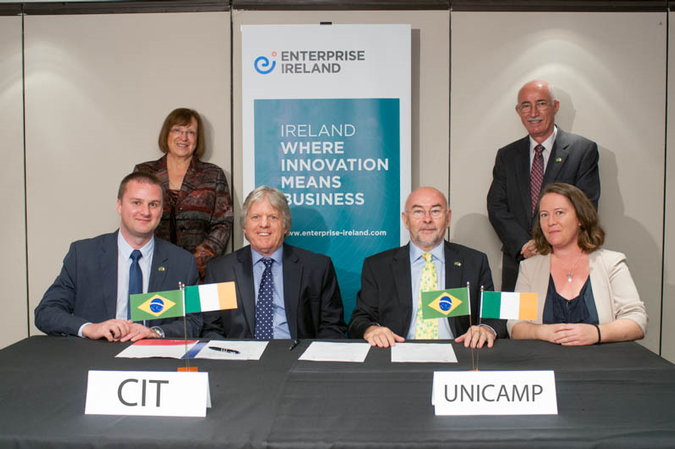 CIT has recently signed Memoranda of Understanding (MoUs) with UNESP, UNICAMP and PUCMINAS, laying the ground work for what promises to be a very fruitful scientific cooperation. Due to the applied nature of CIT’s courses and research programmes, the Institute makes a key contribution to servicing the needs of many multinational companies in the life sciences, information technology and agri-food sectors. These include top pharmaceutical companies such as Pfizer, Eli Lilly and Johnson & Johnson. Cork is also home to a vibrant IT industry which includes EMC, IBM, VMware and Apple amongst others. CIT operates a vibrant innovation centre, the Rubicon Centre, for high potential start up businesses and these provide a stream of opportunities for graduates and researchers. The Rubicon has recently been expanded and houses a significant number of start-up companies. 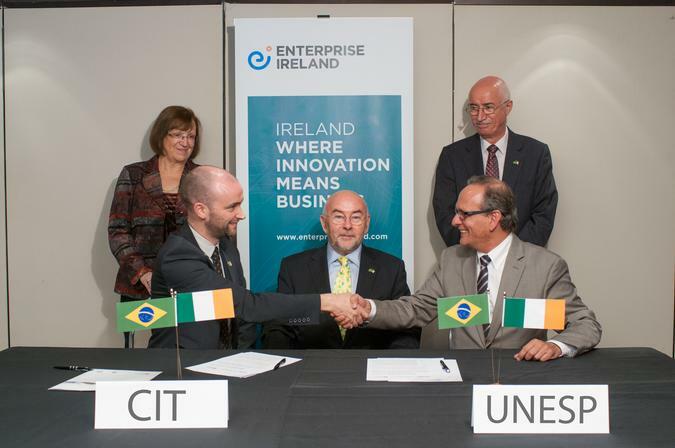 CIT is a world-class centre of creativity, entrepreneurship, and industry-focussed research and innovation. The influence of industry is apparent at every level of CIT’s educational system as it impacts upon course design, student internships, research funding and startup company engagement. Research is fundamental to CIT’s taught programmes and to engagement with industry. There are extensive playing fields and sports facilities available. These include outdoor pitches, a championship standard athletics track, tennis courts and a synthetic all-weather pitch. Indoor sports and training are accommodated in a large and well-equipped sports hall and gym, centrally located on campus. 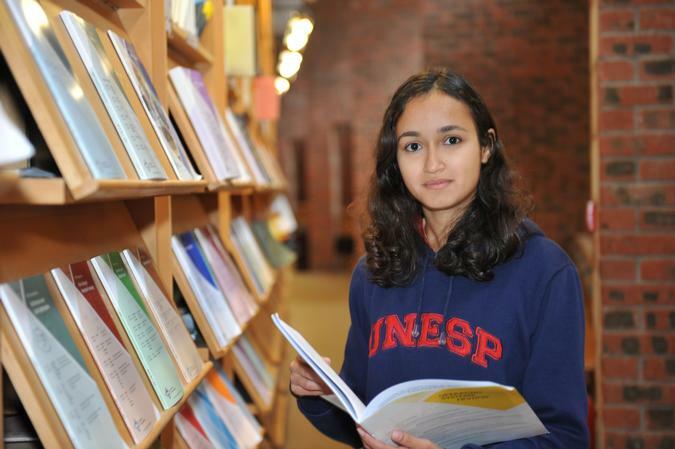 Jhonathan Silva, UNESP - "Facilities are amazing"
Emilene Morais, UNESP - "The library and labs are great!" Fellipe Dias, UNICAMP - "I love the small class sizes"